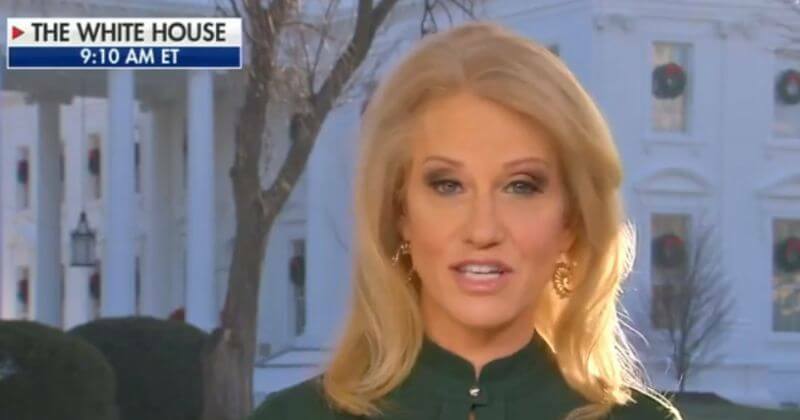 Prosecutors in Maryland dropped criminal charges against a woman accused of accosting White House counselor Kellyanne Conway over her political views at a Mexican restaurant near Washington. At that time, police alleged that Mary Elizabeth Inabinett, 63, of Chevy Chase had been at Uncle Julio’s in Bethesda when she approached Conway from behind, grabbed her shoulders briefly and yelled, “Shame on you!” among other statements. The altercation resulted in Inabinett being removed from the restaurant, according to court documents, and followed a series of incidents in the D.C. area where aides to President Trump were taunted and heckled in public. A trial had been scheduled to begin Monday. Conway and Inabinett were not in court before Montgomery County Circuit Court Judge Robert A. Greenberg. Once again we see a double standard of justice being administered, one for Democrats or those who assault Trump supporters and for Republicans. Democrats are destroying our great nation. Yep, these people that think it is okay to put their hands on people are going to touch the wrong person one day. If somebody shook my wife or my daughter, I wouldn’t stop and ask their political views. I would remove that person ungingerly and rapidly.